For as wild of a year as 2017 has been for pro wrestling, next year already appears to be following suit. 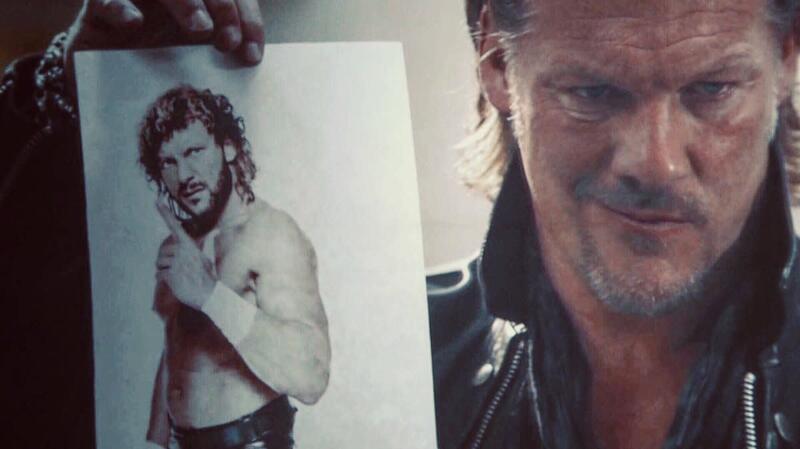 In a shocker, Chris Jericho will be wrestling Kenny Omega at the Tokyo Dome for New Japan Pro Wrestling on January 4th, 2018. Omega retained his IWGP United States Heavyweight Championship against Trent Barreta at today's Power Struggle show and called out his next challenger after. It was teased that no one was left to challenge him, but Jericho then appeared in a video. Jericho said he was the best in the world and the Alpha of this business before challenging Omega to the match, which Omega accepted. Jericho and Omega, who are both from Winnipeg, Manitoba, Canada, have been engaged in a Twitter "feud" recently, but it wasn't apparent if that would ever amount to anything. After Power Struggle, the other matches that appear to be set for Wrestle Kingdom 12 at the Tokyo Dome are Kazuchika Okada vs. Tetsuya Naito for the IWGP Heavyweight Championship, Hiroshi Tanahashi vs. Jay White (who returned to NJPW as Switchblade today) for the IWGP Intercontinental title, Marty Scurll vs. Will Ospreay vs. KUSHIDA vs. Hiromu Takahashi for the Junior title, and Sho & Yoh vs. The Young Bucks for the Junior tag titles. Dave Meltzer and Bryan Alvarez will have more on the particulars surrounding Jericho wrestling for NJPW later. Jericho has been off the road for WWE and touring with Fozzy in recent months, with his most recent WWE match coming when he made a surprise appearance to face Kevin Owens and AJ Styles for the US title on an episode of SmackDown in July. UPDATE: Meltzer notes that Jericho is able to work the match due to being a free agent after his WWE contract expired.